Klinkt als een aardig beest! 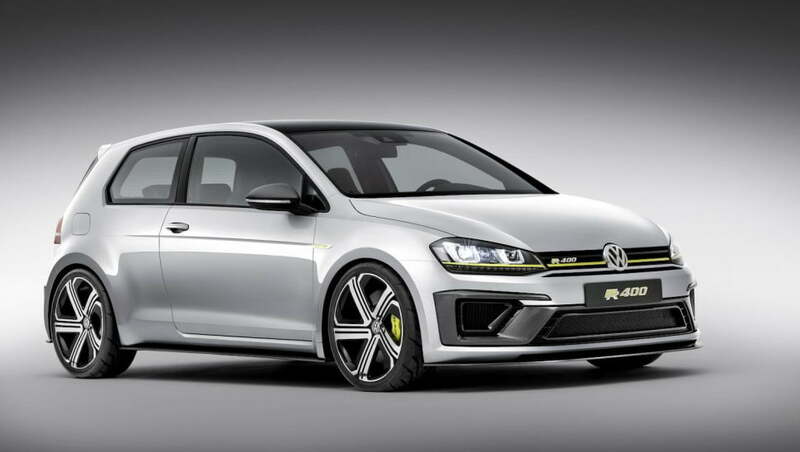 While 2015 Volkswagen Golf R is still fresh in the minds of enthusiasts, VW has decided to up the ante with a 400-horsepower Golf concept. 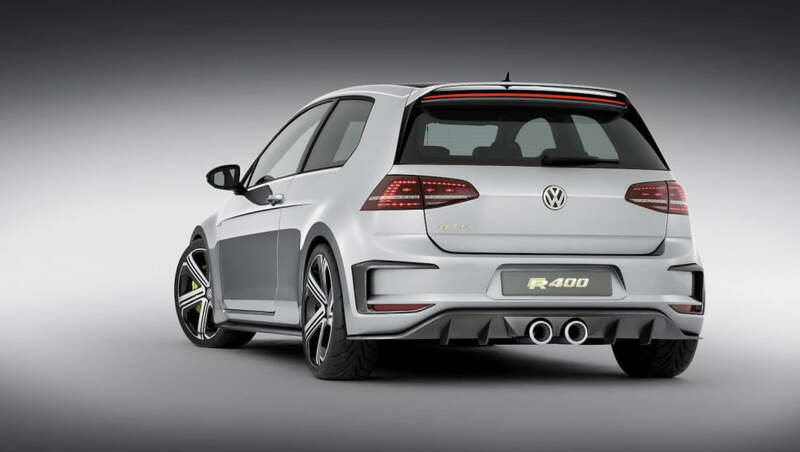 Ok, so the “400″ in the Volkswagen Golf R 400′s name refers to its metric horsepower rating. It actual makes 395 hp, but that’s still quite impressive for a car with VW Golf badges. Set to debut at the 2014 Beijing Motor Show, the Golf R 400 could be the ultimate Mercedes-Benz CLA45 AMG killer if it ever makes it to production. It will do 0 to 62 mph in 3.9 seconds, and reach a top speed of 174 mph. That performance comes courtesy of a modified version of the 2.0-liter turbocharged four-cylinder engine used in the regular Golf R, which sends its power to all four wheels through a six-speed dual-clutch transmission. The sketches released by VW reveal more aggressive styling to match the more aggressive power output. The Golf R 400 has flared fenders that harken back to the 1988 Rallye Golf G60, bigger wheels, and revised front and rear fascias with special yellow trim. 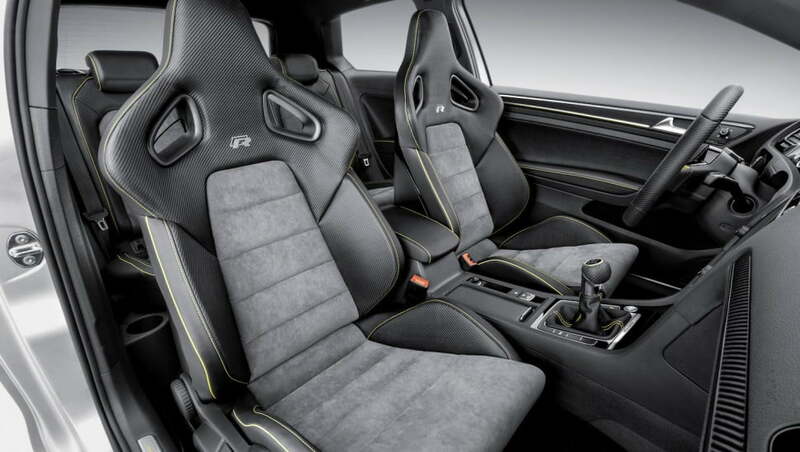 The Golf R 400 will also reportedly be lighter than the standard Golf R, with a stripped-down, race-inspired interior. We’ll get a better look at the Volkswagen Golf R 400 concept in a few days when the 2014 Beijing Motor Show opens, and hopefully find out if VW has any plans to put it into production. Eindelijk weer iets ruigs van VW! Wielkasten hadden van mij nog wel iets extremer gemogen zoals de MKII Rallye....maar zo is `t ook een gaaf ding! "Liebe scheiße....das ist V Wow!" Mooi! Wielkasten hadden inderdaad wel vergelijkbaar mogen zijn met de oude klassieke rallye. is er ook al geen sprake van De golf R500 ? das wel dik!..ben helemaal niet van de nieuwe auto's, maar dit mag ik wel..